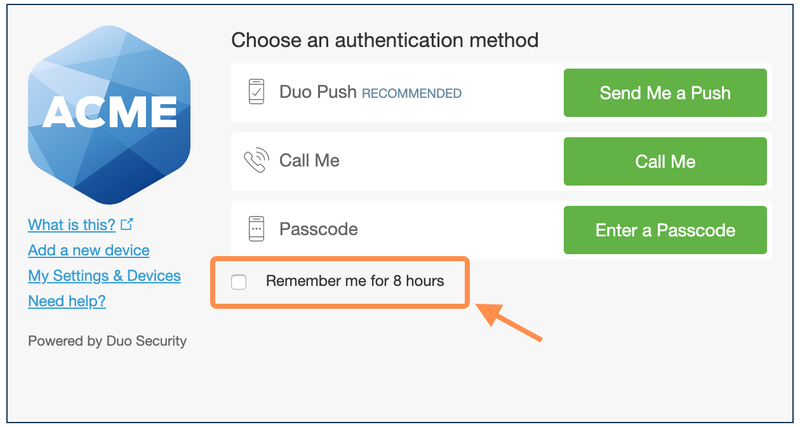 The authentication prompt lets you choose how to verify your identity each time you log in. 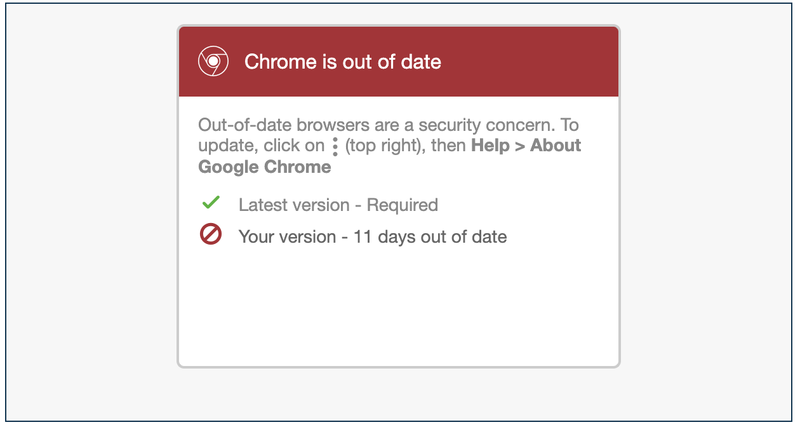 Supported Browsers: Chrome, Firefox, Safari, and Internet Explorer 8 or later. 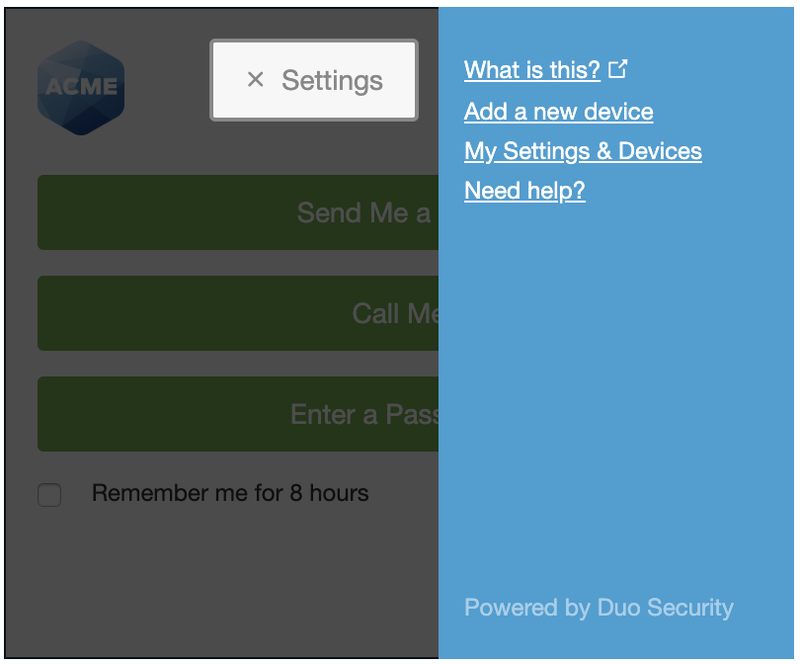 If you have more than one device enrolled you'll see a device selector. 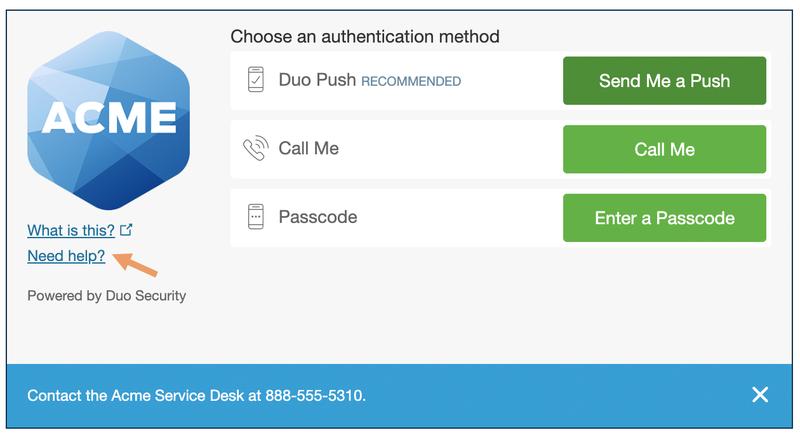 Duo Push Pushes a login request to your phone or tablet (if you have Duo Mobile installed and activated on your iPhone, Android, or BlackBerry device). Just review the request and tap Approve to log in. 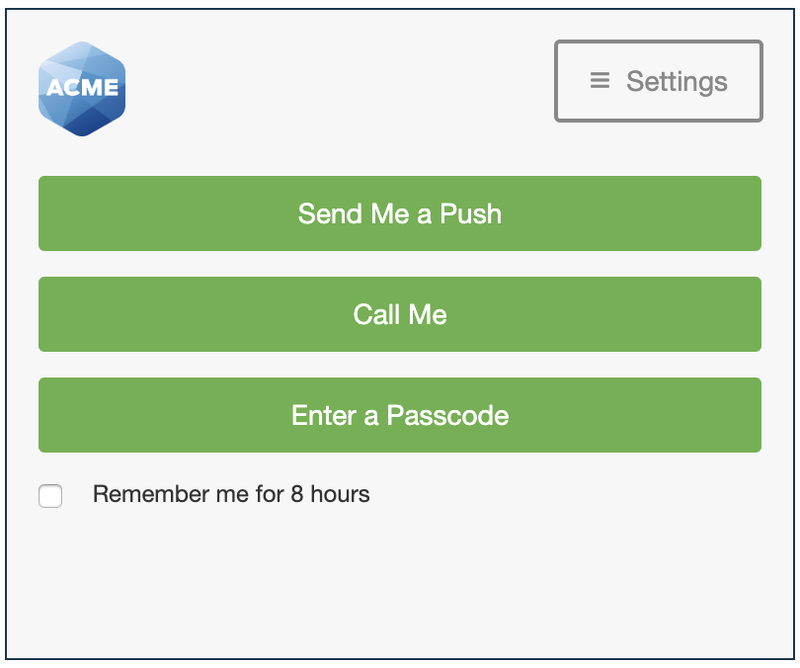 You can also use U2F Tokens for authentication. 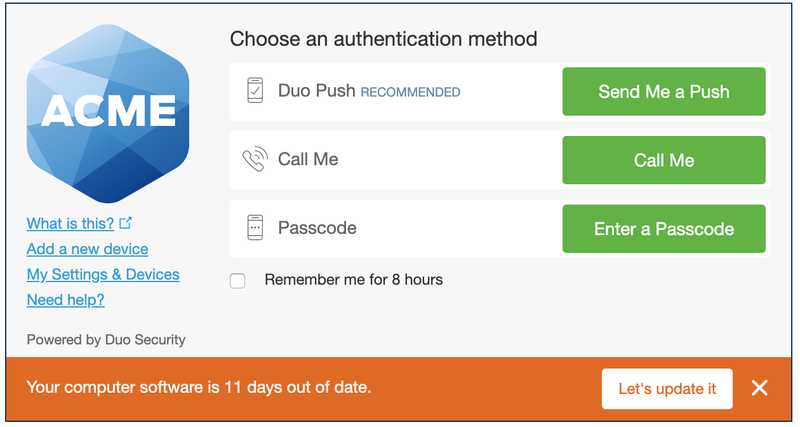 If you're logging in with Duo from a device with a smaller screen (like a tablet) or small browser window then your authentication prompt may look slightly different. Don't worry! All the devices and options shown in the full-size prompt are available for use, and you can enroll and manage devices by following the same steps. 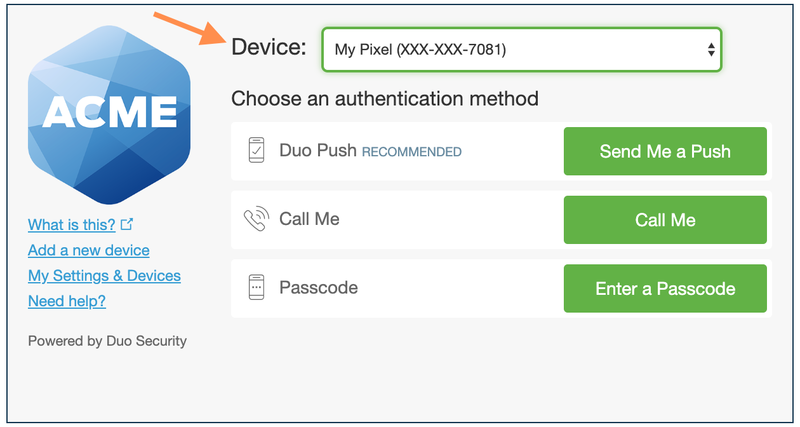 Access Add a New Device or My Settings & Devices by clicking the Settings button at the top. Click the X on the Settings button to return to the authentication prompt.